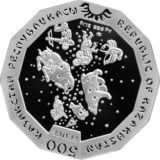 Date of issue: April 18, 2009. 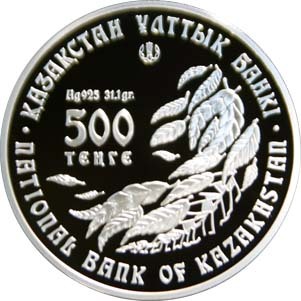 Averse: the composition of leafs; the face value of the coin «500 TENGE»; «Ag 925 31,1 gr.» means metal, standard of coinage and weight; National Bank of Kazakhstan logo; two inscriptions «NATIONAL BANK OF KAZAKHSTAN» in Kazakh and English. 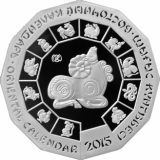 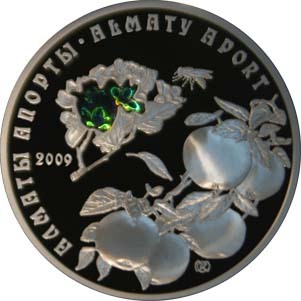 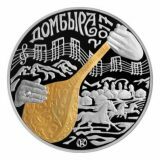 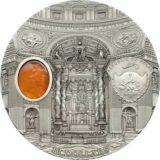 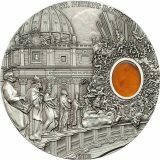 Reverse: the composition of a blooming apple tree branch, part of it is depicted as a hologram; the name of species «ALMATY APORT» in Kazakh and Latin; «2009» means the year of coinage; trade mark of Kazakhstan mint.